How was your day? Mine was okay. Not as productive as I would have liked but there's always tomorrow right? Well, I'm still here play catch up so let's get to it! 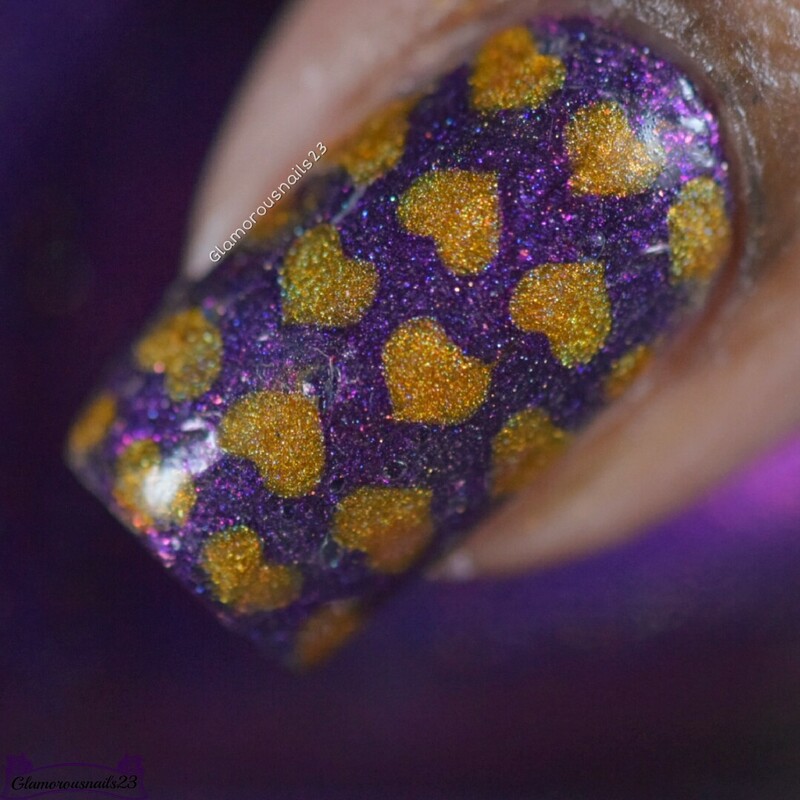 I did this mani for the Clairestelle8 Day 7 - Hearts and 30 Days Of Colour Week 1 - Sparkle prompts! Yup, I'm cheating and using one mani for two prompts lol. I wanted I use non-traditional colours for some of my valentines manis and this one works so perfectly! Keep reading for more! 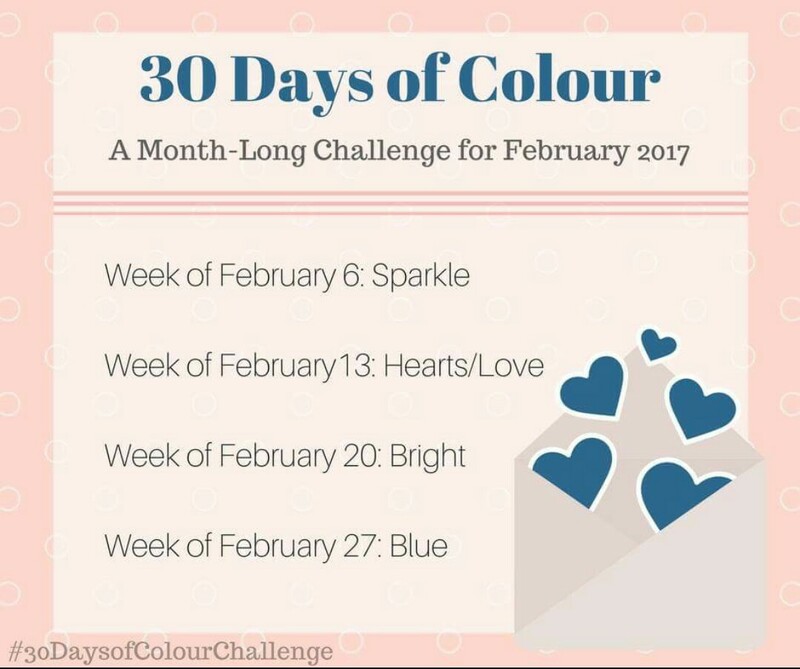 Here are the prompts for this month! I knew once this prompt came around that I wanted to use non-traditional valentines colours for my mani. So, I then opted these two colours and to be honest, at first I was really unsure about how they would look together. But once I got the mani going loved them together. I also created decals for this look! 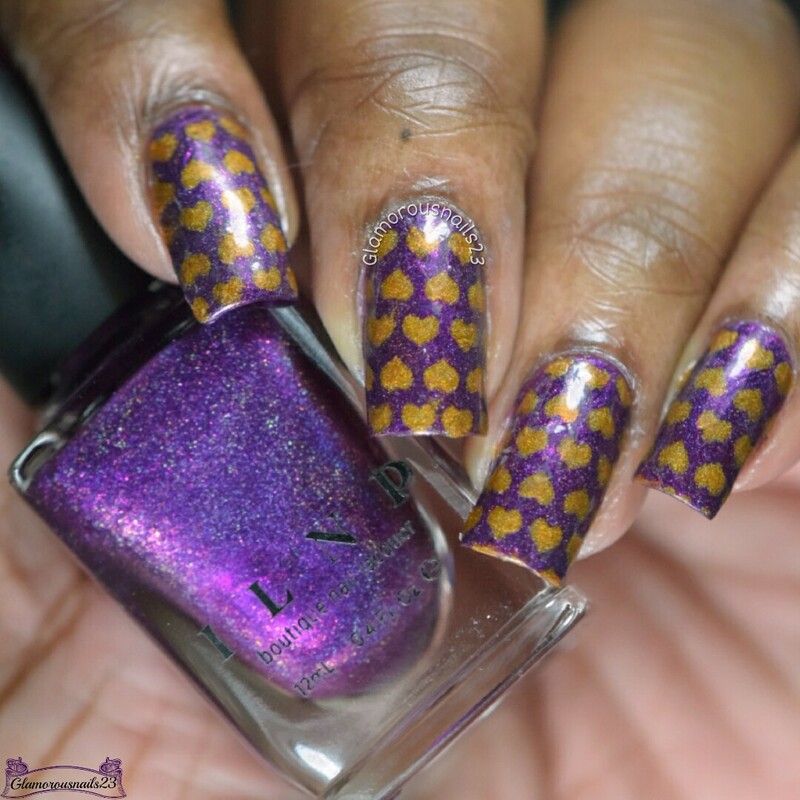 Will you be doing any valentines themed manis?? Do you like doing non-traditional colours for these holidays? I'll be doing a girly pink mani for tomorrow! 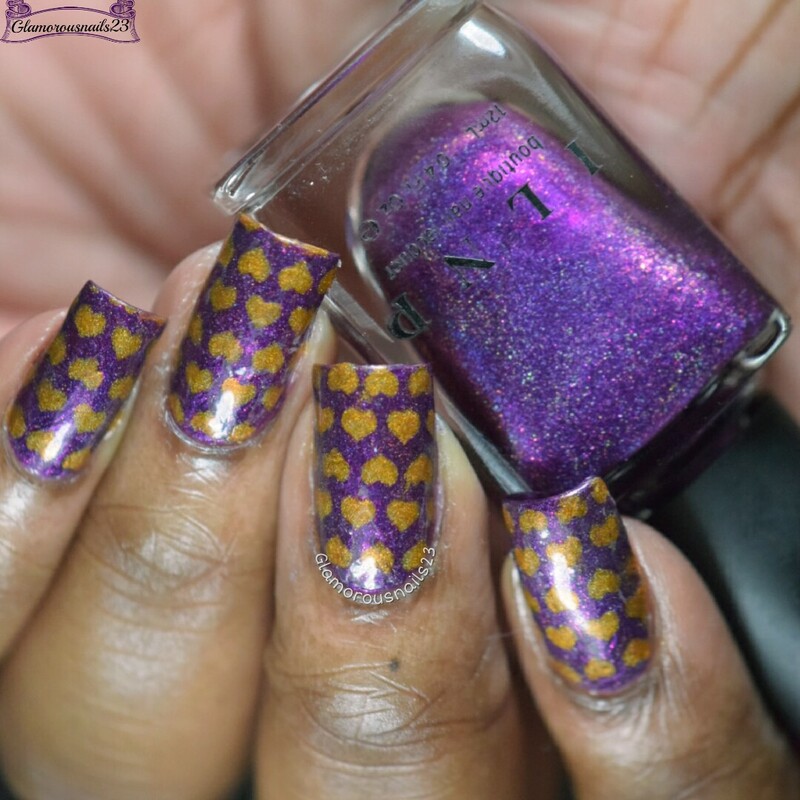 I love purple and gold together. Add some green and it's Mardi Gras time! I love this colour combination so I'm excited to see it for a Valentine's Day look for something a little different. Thanks Jen! I'm actually glad I gave it a try instead of going with the typical Valentines Day colours. Can't go wrong with a girly pink mani at all! 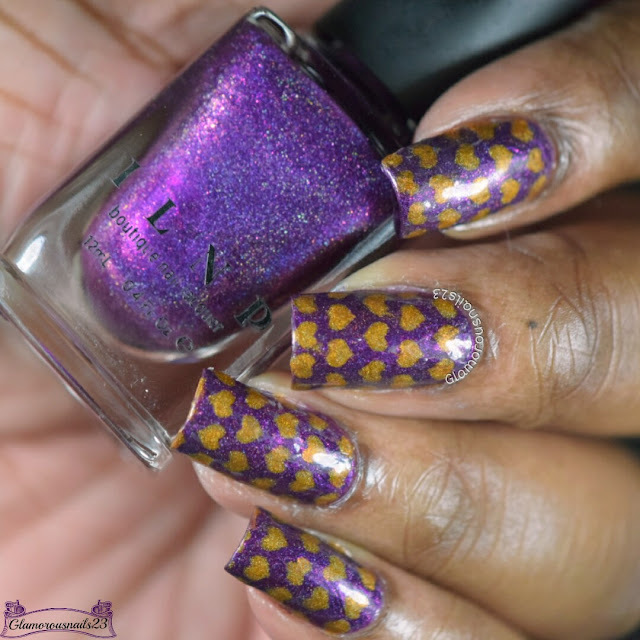 You know I've never done a Mardi Gras mani! Super adorable, I love how playful those colors are together!